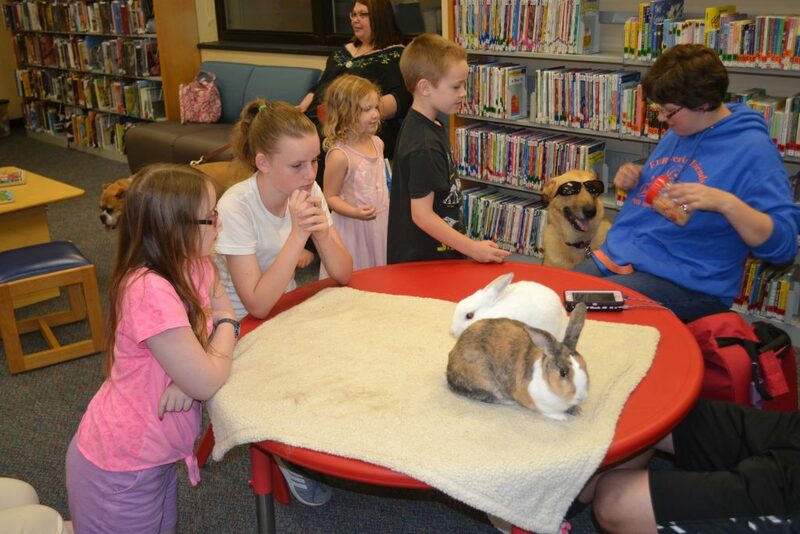 Erin Mays, Maura Mays, Ainsley Guinter and Aiden Guinter hang out with rabbits (Juliet and Sebastian) and with Megan Haase and her dog, Maya, at a FURever as Friends night at the Deptford Free Public Library on Oct. 18. (Ryan Lawrence/The Sun). On every second and fourth Thursday of the month, a Woolwich-based nonprofit heads down Route 322 to the Mullica Hill Branch Library to give kids a non-judgmental way to enjoy reading. The program, which occurs at 6:30 p.m. at the Mullica Hill library, has certified therapy cats, dogs and rabbits available for kids of all ages to sit down, grab a book and read to. Volunteers with the program want the children to read to the therapy animals and not to the volunteers so they become more comfortable with reading and also the animal itself. Bedmar said the children will be able to “say words wrong and make up new words,” and the therapy animals will still provide them with a comforting environment. The program gained traction after Gloucester County Freeholder Joe Chila was visiting door-to-door during an election, and was asking people what he could do for them. 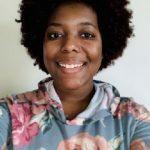 Bedmar suggested to help her get the program off the ground. Since 2012, it’s been in all libraries within the Gloucester County Library System and others outside the system. She added that while the program is scheduled for an hour at the Mullica Hill library, she has had instances where the organization has stayed at the library until 8 p.m., sometimes later, because it won’t refuse any kid who wants to read to one of its animals. In a separate instance, she saw a girl who had an adversity to dogs who’d “scream like bloody murder every time she saw them.” After several visits, the girl began to warm up to the dogs and soon threw treats to them. Now now she is able to hand treats to them. “We’re not just there for the reading program, but to help the children,” she said. Children who have well-behaved pets at home are also encouraged to bring them to the program. Bedmar said it gives the children a chance to see how their pets can help another person. She said approximately 20 to 25 kids and parents volunteer with the organization. Schedules for FURever as Friends’ appearances at the Mullica Hill library can be found at www.GCLS.org and then selecting “Mullica Hill” in the calendar listing, or www.FureverAsFriends.org. Volunteer opportunities are also available on the organization’s website.